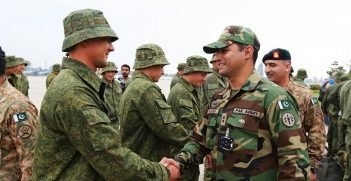 Without exaggeration, 19 March 2019 was one of the most memorable days in the history of independent Kazakhstan. A day that divides its history into pre- and post-Nazarbayev eras. Will this herald a new era, and what should the country expect in the future? It was an ordinary March day with a nation preparing to celebrate Nowruz and the beginning of spring. However, it was not quite so for President Nursultan Nazarbayev who on the 19 March announced his formal resignation after a 30-year rule. Kazakhstan’s population was taken by complete surprise and received this news with a share of scepticism and humour. President Nazarbayev came to power on the eve of the Soviet Union’s collapse. He inherited a country in a deep socio-economic crisis and with rapidly declining standards of living. Post-independence euphoria was very short-lived and uncertainty about the country’s future soon took hold. By passing radical liberal reforms, addressing a multitude of social grievances and co-opting the opposition, Nazarbayev skillfully navigated through this political turmoil and consequently consolidated popular support. As one of the ten largest countries in the world, Kazakhstan benefits from its wealth of natural resources. It has an abundance of oil and gas, gold, coal, uranium and iron ore. Revenues generated from the export of these resources enabled double-digit GDP growth in the early 2000s. With it came growing income disparities, corruption, rent-seeking and the government’s authoritarian tendencies – all of which are often attributed to the “resource curse.” Like other Caspian post-communist republics – Azerbaijan, Russia and Turkmenistan – Kazakhstan directed its oil funds to repress political opposition and tame the population. This was especially the case following the Color Revolutions in Georgia (2003), Ukraine (2004) and Kyrgyzstan (2005). Petrodollars have been used to enthusiastically build the national brand. Nazarbayev did this by holding multibillion-dollar mega-events such as the EXPO 2018 fair, by lobbying for the chairmanship in the Organization for Security and Cooperation in Europe in 2010 and by obtaining non-permanent membership in the United Nations Security Council in 2017-2018. President Nazarbayev’s subscription to an axiom of “first economics, then politics” means Kazakhstan has strived to enter the club of the 30 most competitive economies by clamping down on civil society institutions, violating human rights and civil liberties, and through the violent suppression of dissent. Labelled by Freedom House, a democracy watchdog, as a consolidated authoritarian regime, the Kazakh government has not shied away from prosecuting civil activists on politically motivated charges, banning mass protests, switching off the internet or censoring the media. Despite these authoritarian crackdowns, the public seems to enjoy the “Kazakh way” of building democracy – a method approximated by Nazarbayev to a Singaporean experience of “enlightened authoritarianism.” Although we cannot take the presidential election results in Kazakhstan at face value, figures close to 100 percent for Nazarbayev suggest that the now ex-President enjoys enormous popular support among most segments of the population. People have gotten used to self-censorship and learned to blame all the public policy mishaps on the government, the elites and the bureaucrats, but not the president. Before the resignation was announced, “who is going to be next?” was an obvious question bothering Western promoters of democracy, investors and the local elites and clans. While some hoped for democratic change, others hope things will remain as they are. The proponents of democratic change are too weak and unconsolidated, too afraid and too poor to expect their dreams to materialise. Opposition parties either do not exist or face constant intimidation – civil society is fragmented. Amongst those who want things to stay the same, there is a vested interest in clinging to the status quo. Western investors and key national political and economic elites alike – the authoritarian stakeholders – want to ensure their interests and assets are secure. The question of who Kazakhstan’s next president will be does not bother the general masses as much as it does the powerful elites. Trust and reverence for Nazarbayev, state propaganda extolling peace and stability, and fear of the unknown have meant no-one has a chance of stealing away the people’s support of Nazarbayev and his policies. Mukhtar Ablyazov, a vociferous critic of Nazarbayev currently in exile, is losing his credibility now the former-president has stepped down – something that Ablyazov had been demanding for many years. While the masses were guessing who the next president would be, it was clear from the outset they expected a candidate from the President’s inner circle. Somebody who would continue in the former president’s footsteps and satisfy both the elites and the people. President Nazarbayev was well aware of these expectations when he decided to step down. But, why now? Just like the former Prime Minister of Singapore Lee Kuan Yew, whom Nazarbayev has tried to emulate, Nazarbayev wanted to oversee the transition of power and ensure the country is moving in the “right direction.” Arguably, he plans to steer this process from his retirement and believes it is better achieved while he is still alive. He has all the legal means to do this thanks to his chairmanship of Kazakhstan’s Security Council and the Law of the First President which grants him exclusive decision-making powers. In line with the Kazakh Constitution, the position of interim-president has now passed to the leader of the Senate, Kassym-Jomart Tokayev. He will run the country until presidential elections are held next year. Tokayev is considered a good fit for the role of interim president as he is known for his loyalty to Nazarbayev, he has a positive image in the public’s eyes and previous experience as the prime minister and minister of foreign affairs. He is seen as a figure that ticks all the right boxes. What should we expect from Tokayev’s leadership? There won’t be much change in policy because Nazarbayev is still in the game. 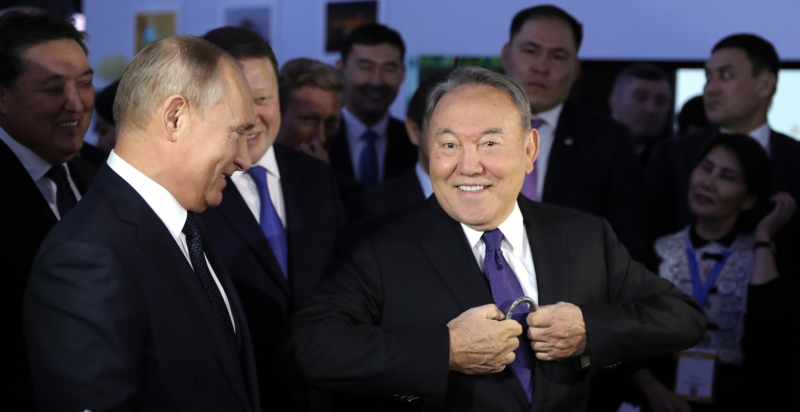 To illustrate this, Tokayev proposed to change the country’s capital name from Astana to Nur-Sultan, in order to commemorate Nazarbayev’s accomplishments, as soon as he was sworn in as interim president. Civil society immediately reacted to this proposal dubbing it “bootlicking” and a “deepening cult of personality.” Civic activists have argued such renaming is unlawful and initiated an online petition to campaign against the move. In a typical fashion, authorities turned a blind eye to popular demonstrations and then started chasing down the anti-renaming activists. One interesting development worth noting is the appointment of Nazarbayev’s daughter, Dariga Nazarbayeva, as the new leader of the senate, the post previously held by Tokayev. One should expect that she will run in the 2020 presidential elections. Does she stand a chance of winning? Yes. But what about Tokayev? He may well not participate for the sake of Nazarbayeva’s victory. In terms of its foreign policy, Kazakhstan will continue pursuing Nazarbayev’s national strategy, Kazakhstan-2050. 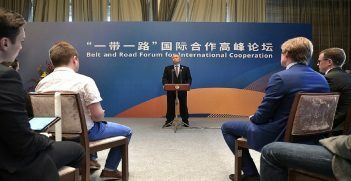 In line with this policy, it will remain a regional economic powerhouse and continue its famous “friends with everyone” multi-vectored foreign policy, which was designed by Tokayev. President Nazarbayev’s decision to step down was a calculated move to ensure he can shape the future direction of Kazakhstan. Had the 79-year-old Nazarbayev instead chosen to stay in power until he unexpectedly died in office, as happened with leaders in neighbouring Uzbekistan and Turkmenistan, he may have risked the country slipping back into the uncertainty that was prevalent in the post-independence era. Instead, he will continue to wield power from behind the scenes. It seems he plans to retain the status quo and maintain the country’s current trajectory by influencing the outcome of the 2020 presidential elections. Let us just hope that future presidents will learn to see out their terms and then step aside, rather than trying to remain in power for life. Dr Nurseit Niyazbekov is an assistant professor in the Department of International Relations and Regional Studies at KIMEP University, Kazakhstan. He obtained his PhD in Politics and his MSc in Sociology from the University of Oxford. He specialises in Central Asian politics, democratisation and social capital.